With two regular season races remaining to set the 16-driver Monster Energy NASCAR Cup Playoff field, four more drivers assured themselves a postseason berth following last Saturday night’s Bristol Motor Speedway night race. Race winner Kurt Busch guaranteed his spot in the 16. Joining him by virtue of points are Team Penske drivers Ryan Blaney and Brad Keselowski along with Chip Ganassi Racing’s Kyle Larson. That leaves the four drivers ranked 13th-16tt – Denny Hamlin, Aric Almirola, Jimmie Johnson and Alex Bowman – still to secure their championship berths. As it did for Kurt Busch, a victory in the Sept. 2 Bojangles Southern 500 (6 p.m., NBCSN, MRN, SiriusXM NASCAR Radio) would, of course, ease any Playoff tension. Hamlin, driver of the No. 11 Joe Gibbs Racing Toyota, is the defending winner at the Monster Energy Series’ next venue, Darlington Raceway. He has two victories at the historic track (2010), three runner-up finishes and is on a streak of three consecutive top-five finishes. Johnson is the only other member of that foursome still looking to lock a Playoff position who has won at Darlington previously. He’s won three times, actually – including a sweep of the 2004 season – when the series raced at the track twice annually – and then again in 2012. The driver of the No. 48 Hendrick Motorsports Chevrolet is looking for his first top-10 there since 2014, however. Hamlin has two Monster Energy Series wins (2017 and 2010) and is riding a streak of three top-five finishes. In fact, he has only one finish worse than sixth-place in the last eight races there – 19th in 2014. In his career, he has finished outside the top-10 only twice in 12 starts. And he’s equally as successful in the Xfinity Series at Darlington – scoring five wins since 2006 – including back to back wins in 2006-07. He’s won two of the last three races and finished runner-up in the other one in 2016 to Elliott Sadler. When it comes to Darlington, the Monster Energy Series’ “Big 3” – Kyle Busch, Kevin Harvick and Martin Truex Jr. – have been strong, but not as dominant as at other venues. In the last five years, Kevin Harvick (2014) and Truex (2016) have each won a race. However, during that timeframe, Harvick is the only driver among that championship-leading small group to have finished in the top-10 in all five races. In fact, he has had top-five finishes in four of the last five years, finishing ninth last year. Truex has finished among the top-10 in the last three years and was 27th in 2014 and 12th in 2013. Busch was runner-up last year and sixth in both 2013 and 2014. His only win at Darlington was in 2008. No driver outside the current top-16 in the Playoff rankings has ever won at Darlington, however there are three past Indianapolis winners who remain legitimate threats to score a win in the regular season finale at Indy. Paul Menard, who is currently 21st in the Playoff standings, won at Indy in 2011 while Ryan Newman, who is 18th in the Playoff standings, won in 2013. Defending Brickyard winner Kasey Kahne is ranked 28th. A victory there (if they don’t win at Darlington) is essentially their last shot at the 2018 Playoffs. In unprecedented fashion, NASCAR Hall of Famer Bill Elliott, father of current Monster Energy NASCAR Cup Series driver Chase Elliott, will be making his return to the NASCAR Xfinity Series after more than a decade. Elliott will be piloting the No. 23 GMS Racing Chevrolet Camaro with crew chief Chad Norris this weekend in the Johnsonville 180 at Road America on Saturday, August 25 at 3 p.m. ET on NBCSN, MRN and SiriusXM NASCAR Radio. “Awesome Bill from Dawsonville” (Georgia) last competed in a NASCAR national series race in 2012 at Daytona International Speedway, when he qualified sixth in the July Monster Energy Series race and finished 37th after being caught in an incident on Lap 123. The last time Bill Elliott competed in the NASCAR Xfinity Series was on October 22, 2005 at Memphis Motorsports Park in Memphis, Tennessee. While Clint Bowyer won the race, Elliott qualified sixth and finished 16th driving for Evernham Motorsports and fellow NASCAR Hall of Famer Ray Evernham. In total Elliott has made 43 career NASCAR Xfinity Series starts, posting one win (Watkins Glen, 1993), eight top fives, 16 top 10s and two poles. This weekend will be Elliott’s series career track debut at Road America. Elliott has only competed on one road course in the NASCAR Xfinity Series – Watkins Glen International – where he tallied his lone series win and an average finish of 12.0. Road racing takes special skills and some drivers have taken to making those specific skills their specialty. At Road America in Elkhart Lake, Wisconsin, the NASCAR Xfinity Series will not only have its usual title contenders battling it out on the 14-turn road course, but also several road racing ringers like Andy Lally, Katherine Legge, Conor Daly, James Davison and Brendan Gaughan joining in on the fun this Saturday, August 25 for the Johnsonville 180 at 3 p.m. ET on NBCSN, MRN and SiriusXM NASCAR Radio. Northport, N.Y. native, Andy Lally, jumps back into the No. 90 DGM Racing Chevrolet with crew chief Josh Williams this weekend following an impressive run at Mid-Ohio a few weeks back. Then he started eighth and led eight laps before getting shuffled back in a late race restart to finish 15th. Heading into this weekend, Lally has made two previous starts at Road America (2014, 2015) posting one top 10 (seventh) and an average finish of 11.0. Katherine Legge, the British sports car star, returns to the NASCAR Xfinity Series for her second start of the season in the No. 15 JD Motorsports Chevrolet with crew chief Ron Drake. Legge made her series debut a few weeks back at Mid-Ohio Sports Car Course, starting 22nd and finishing 30th after having brake issues late in the race. Keep an eye on Legge this weekend, though it will be her series track debut at the 4-mile road course, she has made six IMSA WeatherTech SportsCar Championship starts at Road America, posting an average finish of 8.2; including a seventh-place finish earlier this season. Open-wheel driver Conor Daly will try his luck at some stock car racing this weekend at Road America in the No. 6 Roush Fenway Racing Ford with crew chief Kevin Kidd. Daly will attempt to make his NASCAR national series debut in the Xfinity Series this weekend at Road America. The last two seasons Daly has competed in the Verizon IndyCar Series, finishing 18th in the championship points both years. The Noblesville, Indiana native is no stranger to Road America, he has two IndyCar starts at the famous four-mile track, posting a best finish of 15th. He also has one IMSA WeatherTech SportsCar Championship start in 2015, where he won the pole and finished runner-up. Joe Gibbs Racing also has called up a former open-wheel racer James Davison, who cut his teeth in the Indy Lights in 2008-2009 and then competed part-time in the Verizon IndyCar Series from 2013-2018. Davison has also competed in the IMSA WeatherTech SportsCar Championship, competing in the GTD class part-time from 2010-2017. Though this will be Davison’s series season debut, he does have some NASCAR Xfinity Series experience. He has three career starts in the series, recording one top five (at Mid-Ohio in 2017). The other two starts were at Road America (2016, 2017). In last season’s Road America race he started second and led 11 laps before being caught in an incident that relegated him to a 37th-place finish. Last but not least, Richard Childress Racing has tapped Brendan Gaughan to hop in the No. 3 RCR Chevrolet and work with crew chief Nick Harrison this weekend at Road America. Las Vegas, Nevada’s Brendan Gaughan retired from full-time competition this season but has moonlighted in the series already once this year (at Mid-Ohio finishing 12th) and this weekend he returns to the track that brought him his first series victory (in 2014) – Road America. Gaughan has made six series starts at Road America posting one win, four top fives and an average finish of 6.3. In the last eight NASCAR Xfinity Series Road America races, the four-mile road course has produced eight different winners and this weekend we could possibly see a ninth in the Johnsonville 180 on Saturday, August 25. Road America currently is tied with Dover for the fourth-longest active different winners streak among tracks on the Xfinity Series schedule. The top five different winner streaks by track in the NASCAR Xfinity Series: Las Vegas (10 different winners), Iowa (nine), Michigan (nine), Dover (eight), Road America (eight). The record for the most consecutive different winners a single track was 23 set at New Hampshire Motor Speedway between the 1990-2009 seasons. Las Vegas currently holds the longest active different winners streak at 10 dating back to 2009. The eight different winners in the Road America streak are Jeremy Clements (2017), Michael McDowell (2016), Paul Menard (2015), Brendan Gaughan (2014), AJ Allmendinger (2013), Nelson Piquet Jr. (2013), Reed Sorenson (2011) and Carl Edwards (2010). Five of the last six NASCAR Xfinity Series races at Road America have produced first-time series winners; including last season’s event when Jeremy Clements grabbed the checkered flag in a thrilling finish, securing his spot in the Playoffs. This weekend the series returns, and chances are good we could see another new winner in Saturday’s Johnsonville 180 (3 p.m. ET on NBCSN, MRN and SiriusXM NASCAR Radio) as there are 29 drivers on the entry list that are still looking for their first career NASCAR Xfinity Series win. The five drivers to get their first NASCAR Xfinity Series win at Road America are Clements (2017), Michael McDowell (2016), Brendan Gaughan (2014), AJ Allmendinger (2013) and Nelson Piquet Jr. (2013). Since 1993, road courses have contributed 13 new Xfinity Series winners – Bill Elliott (Watkins Glen, 1993), Ron Fellows (Watkins Glen, 1998), Denny Hamlin (Mexico, 2006), Juan Pablo Montoya (Mexico, 2007), Marcos Ambrose (Watkins Glen, 2008), Boris Said (Montreal, 2010), Nelson Piquet Jr. (Road America, 2012), AJ Allmendinger (Road America, 2013), Brendan Gaughan (Road America, 2014), Chris Buescher (Mid-Ohio, 2014), Justin Marks (Mid-Ohio, 2016), Michael McDowell (Road America, 2016) and Jeremy Clements (Road America, 2017). With four races left in the NASCAR Xfinity Series, opportunities to solidify a driver’s spot in the Playoffs are starting to become scarce. Two drivers that made the Playoffs last season that are currently on the outside of the points cutoff line looking in are Michael Annett (13th in points following Bristol) and last year’s Road America winner Jeremy Clements (16th in the current standings). Though still mathematically possible to get in on points, it is probably going to take a win for both Annett and Clements to make the Playoffs this season as the points gap between 13th-place Annett and 12th-place Ross Chastain in the final transfer spot has grown to 42 markers. But getting the win this weekend isn’t too far-fetched since Clements pulled off the upset win last season at Road America coming out on top of a close battle with Joe Gibbs Racing’s Matt Tifft in the closing laps of the race. And Michael Annett finished runner-up in the event, almost catching Clements in the final lap – the second-place finish is still Annett’s best career finish in the series. Clements has made seven series starts at Road America, posting one win and two top 10s. Annett has made five series starts at Road America, putting together one top five a two top 10s. The diversity in the next four racetracks on the schedule to close out the NASCAR Xfinity Series regular season is one that will truly test the championship contenders. In the next four stops the series will venture out on the road course of Road America, the historic egg-shaped oval of Darlington Raceway, the rectangular-shaped and virtually flat oval of Indianapolis Motor Speedway and finally, to wrap up the regular season, the high banks of the 1.5-mile Las Vegas Motor Speedway. This weekend, fans better get ready for some great road racing as the series heads to Road America on Saturday, August 25 for the Johnsonville 180 at 3 p.m. ET on NBCSN, MRN and SiriusXM NASCAR Radio. Road America is a multi-elevational, four-mile, 14-turn road course that sprawls out over the Wisconsin hillside. Last season’s winner was series title contender Jeremy Clements, who became the eighth different winner in as many races at Road America when he grabbed his first career Xfinity win and locked himself into the postseason. Then the series will head to South Carolina for the historic Darlington Raceway. Notably known as the track “Too Tough to Tame,” the series will battle it out on the egg-shaped 1.366-mile track in the Sport Clips Haircuts VFW 200 on Saturday, September 1 at 3:30 p.m. ET on NBC, MRN and SiriusXM NASCAR Radio. Joe Gibbs Racing’s Denny Hamlin has won two of the last three series races at Darlington, including last season’s event. Following Darlington will be the famed Indianapolis Motor Speedway as the series returns to the 2.5-mile track located in heart of Indiana. It will mark the seventh time the series has competed at Indianapolis Motor Speedway when the field takes the green flag on Saturday, August 8 for the Lilly Diabetes 250 at 4 p.m. ET on NBCSN, IMS and SiriusXM NASCAR Radio. Last season’s Xfinity Series champion William Byron put his name on everyone’s radar when he raced his way to Victory Lane in his first series start at historic facility. Finally, wrapping up the regular season will be none other than the 1.5-miler Las Vegas Motor Speedway located in the sandy desert of Nevada just north of the Vegas strip. Las Vegas Motor Speedway will not only be the site of the regular season finale, the DC Solar 300 on Saturday, August 15 at 5 p.m. ET on NBCSN, PRN and SiriusXM NASCAR Radio, but also the location the series crowns its regular season champion and solidifies the seedings for the 2018 NASCAR Xfinity Series Playoffs. This event will also be the first time the series has competed at Las Vegas more than once in a season. Kyle Larson took the checkered flag in the NASCAR Xfinity Series race at LVMS earlier this season. International Racing Affair: Road racing in NASCAR has always been a draw for international drivers to try their luck in one of the national series, and this weekend at Road America will be no different with James ‘JD’ Davison from Melbourne, Australia, and Katherine Legge from Guilford, England. Davison will be driving the No. 18 Joe Gibbs Racing Toyota with crew chief Eric Phillips. Legge will be driving the No. 15 JD Motorsports Chevrolet with crew chief Ron Drake. NASCAR and Wisconsin: A total of 43 NASCAR national series races (see chart below), between two tracks, have been held in the state of Wisconsin. The very first NASCAR national series race held in the state of Wisconsin was a Monster Energy NASCAR Cup Series event at Road America on August 12, 1956 in Elkhart Lake, Wisconsin. The race was won by NASCAR Hall of Famer Tim Flock for car owner Bill Stroppe in a Mercury. The first NASCAR Xfinity Series race held in the state of Wisconsin was at The Milwaukee Mile, located just outside Milwaukee in West Allis, Wisconsin on May 13, 1984; the event was won by Sam Ard for car owner Howard Thomas in an Oldsmobile. The first NXS event at Road America was on June 19, 2010 and won by Carl Edwards for Roush Fenway Racing in a Ford. As the NASCAR Camping World Truck Series heads to the Canadian Tire Motorsport Park on Sunday, August 26 for the Chevrolet Silverado 250 (2:30 p.m. ET on FS1, MRN and SiriusXM NASCAR Radio), it will be the first race of the Playoffs for the elite eight who clinched their spot. Johnny Sauter finished the regular season with five wins (Daytona, Dover, Charlotte, Texas, Bristol), the most of any season in his career. He also clinched the regular season championship last weekend at Bristol Motor Speedway. In the past, Sauter won the 2016 NASCAR Camping World Truck Series championship and made it to the Championship 4 Round in 2017. Sauter’s best track on the remainder of the schedule is Texas, where he has five wins and an average finish of 6.0 in 20 starts. Brett Moffitt sits in second place in the points standings with 2,027 points. The 26-year-old has four wins so far this season (Atlanta, Iowa, Chicago, Michigan) and has become known for his last-lap passes for victory. This year marks his first-time in the NASCAR Camping World Truck Series Playoffs. Moffitt is looking the strongest at Las Vegas. His start at Vegas this March was his first at the track and he finished third. Moffitt and his team struggled throughout the season to find sponsorship and sometimes didn’t know if they would be racing week-to-week, so the success they have had thus far is even more impressive. Noah Gragson is sitting in third in the NASCAR Camping World Truck Series Playoff standings with 2,022 points. He has just one win this season (Kansas) and only three finishes outside of the top-10. The 20-year old finished the regular season with seven stage wins, the most of any driver in the series. This is also Gragson’s first-time competing in the Playoffs. Ben Rhodes secured his Playoff spot with a win at Kentucky. With one win this season, he also has five top fives, nine top 10s and two poles. Rhodes qualified for the 2017 Playoffs but was eliminated in the Round of 6. Rhodes hopes that the Playoffs have a different result this year. Stewart Friesen takes the fifth spot in the eight Playoff-contending places with 2,012 points. Although Friesen hasn’t been able to clinch a win yet, he is having a career season with seven top-five finishes, 11 top 10s and one pole. He has five stage wins in the regular season, the second-best of any driver in the series. Grant Enfinger is in the Playoffs for the first time of his NASCAR Camping World Truck Series career with 2,011 points. Enfinger is coming in with six top-10 finishes in a row. He finished with a season-best second-place at Eldora. He secured his Playoff spot at Bristol Motor Speedway by simply starting the race due to his points standings from throughout the regular season. Justin Haley is also a newcomer to the NASCAR Camping World Truck Series Playoffs. He secured his Playoff spot with a win at Gateway Motorsports Park, the first win of his career. He also has five top-fives and 12 top-10 finishes this season. He just missed the Playoffs in 2017, so his Playoff run will be one for him to prove himself. Veteran Matt Crafton took the last spot in the Playoffs after an uncharacteristically tough season to date. Crafton has not had a winless season since 2012, but is still hopeful that his wins will come in the Playoffs. Crafton currently has five top fives and nine top 10s. He has not had a season finish with fewer than 10 finishes in the top-10 since 2002. Crafton qualified for the Championship 4 in 2017, where he finished fourth, and in 2016, where he finished second. On Thursday evening under the lights at Bristol Motor Speedway, Johnny Sauter sealed the deal for the 2018 NASCAR Camping World Truck Series regular-season championship. Sauter clinched the season by just simply starting the race, as he was leading by 56 points. Sauter accumulated such a big lead in the standings by winning four of the first eight races. He qualified in fourth-place and then raced to the front for 200 miles. Sauter won his first NASCAR Camping World Truck Series title in 2016 and was the runner-up in 2011 and 2017. This weekend’s race at Canadian Tire Motorsport Park on Sunday, August 26 (2:30 p.m. ET on FS1, MRN and SiriusXM NASCAR Radio) will mark the first NASCAR national series start for U.S. Navy Lt. Jesse Iwuji. However, the name is very familiar to racing fans as he currently runs in select races for the NASCAR K&N Pro Series West and East and the ARCA Series. Iwuji, who will run the No. 34 Reaume Brothers Racing truck on Sunday, is still an active member of the U.S. Navy Reserve. Iwuji’s racing career began in 2015 racing Late Models before he moved into the K&N Pro Series and ARCA Series. He has gained sponsorship support from several industries with a military focus and gratitude. One of his partners for this weekend is Zulu Audio, whose owner is also a Naval Academy alum. Racing has been a goal of Iwuji’s, along with his regular day job in the Navy Reserves and running a business. He is looking forward to his national series start this weekend because his main goal is to make it as a Monster Energy NASCAR Cup Series driver. Noah Gragson is one of eight drivers in the NASCAR Camping World Truck Series Playoffs and he is also one of the youngest. As the pressure gets tougher for the drivers heading into the Truck Playoff opener, Gragson has decided to keep his focus on one thing: becoming a champion. Gragson described his experience with a sports psychologist and how the support and knowledge he has gained from it is helping him work towards his main goal. At the NASCAR Camping World Truck Series Playoffs Media Day on Tuesday, August 21, 2018, Gragson made it a point to discuss the changes he is making in his day-to-day lifestyle to become the best version of himself. Having champion crew chief Rudy Fugle alongside him during his Playoff journey will be beneficial to the 20-year old as he prepares for the upcoming races. 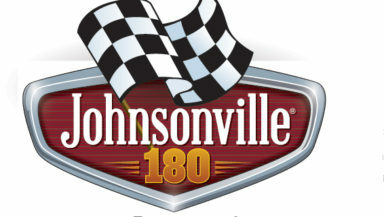 Of the 31 drivers currently entered in the Chevrolet Silverado 250 on Sunday, August 26 (2:30 p.m. ET on FS1, MRN and SiriusXM NASCAR Radio), 13 of them will hit the road course for the first time of their career. They are: Justin Kunz, Austin Hill, Myatt Snider, Wendell Chavous, Max Tullman, Jason White, Jesse Iwuji, Justin Fontaine, Ray Ciccarelli, Harrison Burton, Stewart Friesen, Bo LeMastus and Roger Reuse. Friesen is the only Playoff driver who has never been to Canadian Tire Motorsport Park in his career. Canada natives Alex Tagliani and D.J. Kennington are entered to run this weekend for their first race of the 2018 season. Reuse and White, also Canada natives, will be making their NASCAR Camping World Truck Series debut this weekend, as well. Germany’s Justin Kunz Will Make Truck Debut: Justin Kunz, the 21-year-old German NASCAR Whelen Euro Series driver, will make his NASCAR Camping World Truck Series debut in the No. 0 Chevrolet Silverado for Jennifer Jo Cobb Racing at the Canadian Tire Motorsport Park. When Cobb made her European debut in April, Kunz was her teammate in Valencia and that is part of the reason she chose him to race for her (and against her) on Sunday. Kunz made his NASCAR Whelen Euro Series debut in 2016 in the ELITE 2 Division and placed three top-five finishes since. Harrison Burton Back in the Saddle: We were supposed to see Harrison Burton pilot the No. 51 Toyota Tundra for Kyle Busch Motorsports at Bristol Motor Speedway last weekend, but he had to withdraw due to an illness. Christopher Bell took Burton’s place in his absence. However, Burton will be back behind the wheel this weekend at Canadian Tire Motorsport Park, driving the No. 51 Hunt Brothers Pizza/Field Toyota Tundra. This will be Burton’s first time at the road course as he makes his fourth start of the 2018 season. He has two top fives, four top 10s and one pole under his belt so far. Spencer Gallagher to Pilot No. 25 Chevrolet: GMS Racing announced Wednesday that Spencer Gallagher will pilot the No. 25 Chevrolet, formerly driven by Dalton Sargeant, beginning this weekend in Canada. Gallagher has visited the track twice in his Truck Series career and finished in the top-10 in 2015 and started in the top-10 in 2016. OEM Battle in Canada: Of the five NASCAR Camping World Truck Series races that have taken place at Canadian Tire Motorsport Park, Chevrolet and Ford each have two wins at the track and Toyota has one. Last year, a Ford truck went to Victory Lane for the first time since 2014, when Ryan Blaney won from the 14th position. Chase Elliott’s first NASCAR Camping World Truck Series win was at the 10-turn road course in 2013 and Austin Cindric’s first and only Truck Series career win was in Canada last year. As the NASCAR Camping World Truck Series heads to Canada for the Chevrolet Silverado 250 on Sunday, August 26 (2:30 p.m. ET on FS1, MRN and SiriusXM NASCAR Radio), here are some quick facts and numbers that you should know about the 10-turn road course. Canadian Tire Motorsport Park has collected five different race winners in all five series races at the track. Last year, Austin Cindric won after starting from the pole.